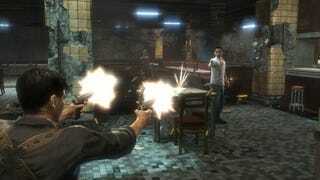 The director of action classics like The Killer and Face/Off, John Woo also dipped his big toe into video games with John Woo's Stranglehold, a Midway title that was a sequel to his flick Hardboiled. The film reunited the director with his star Chow Yun-Fat. There are plans to turn it into a feature film — Woo won't be directing. But will he be involved in making another game? "I don't have that much time," the filmmaker told website Cinematical, "even though I want to make one again." Woo currently has a handful of projects in development in both China and Hollywood. He's a busy guy.